You knock it down, you drink a $2 PBR. Them's the rules, buddy. Thursday night. The only weeknight it's totally OK to stay out until last call. Don't ask us why; we didn't start this tradition. We merely honor it. 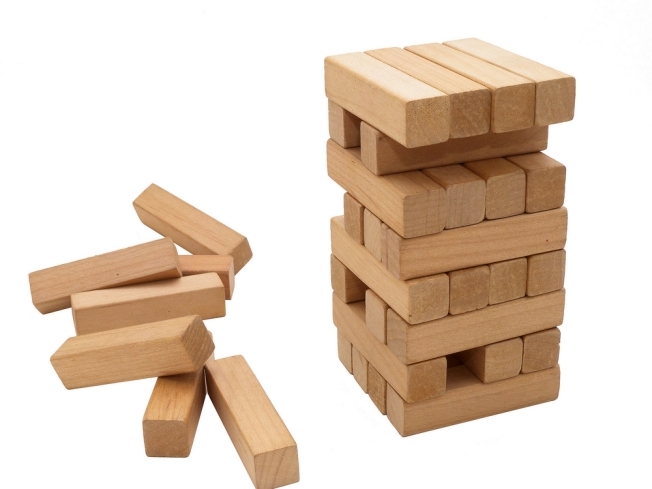 And so, Thursday nights means Drunken Jenga from 8 p.m. to 2 a.m. at the Rock and Roll Hotel (1353 H St. NE). Whatever part of Jenga still seemed wholesome in that rained-in-during-5th-grade-recess is now over and done forever. Says the R&R Web site: "Build the tower. Take it in turns to remove a block with one hand and place it on top of the tower. If you successfully move a block according to the rules, you may command another player to drink. However, if you cause the tower to topple, you must drink an entire beer." Well, you obviously can't disobey what a bar Web site tells you to do. OK, yes, you can. But if you're still interested, keep in mind at least there's no cover charge and $2 PBRs for players, so you won't feel like you're wasting money if you later feel compelled to run out screaming.